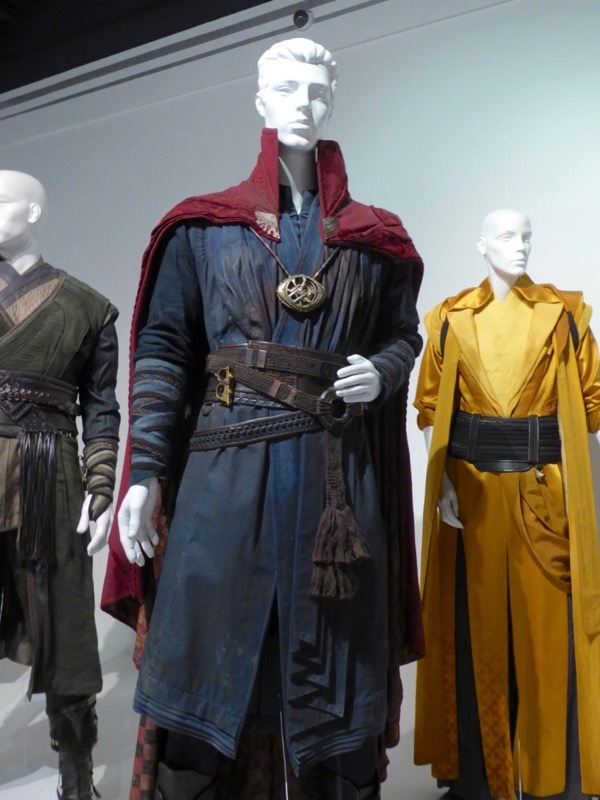 One of the things I love about Marvel Studios is that they continue to bring new characters to life on the big screen that we've never seen in action before, rather than retelling the same old origin stories of classic superheroes. 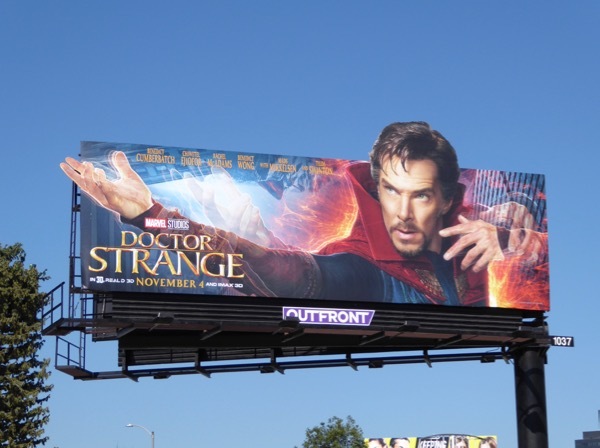 Last November it was the turn of 'Doctor Strange' to get the cinematic treatment and for audiences to learn more about the magical side of the Marvel Universe, with Benedict Cumberbatch playing the world class surgeon turned master of the mystic arts after an accident damages his hands. 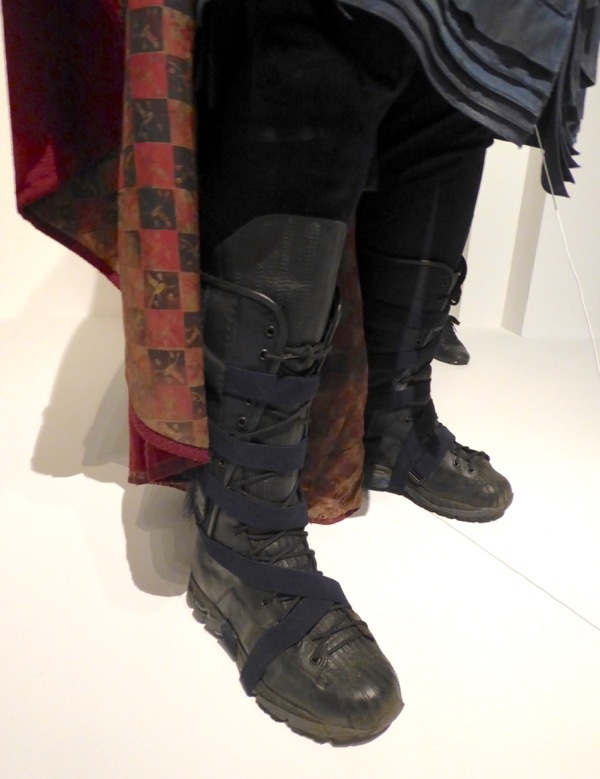 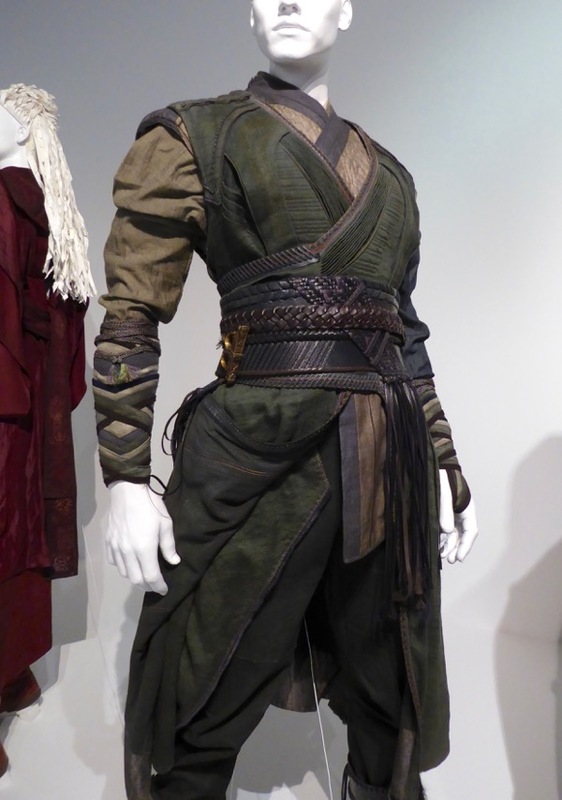 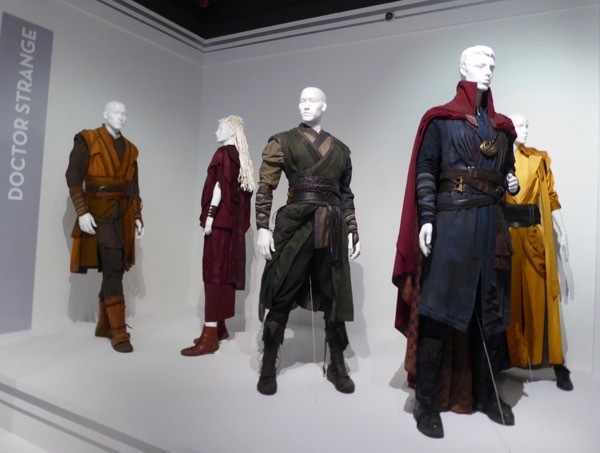 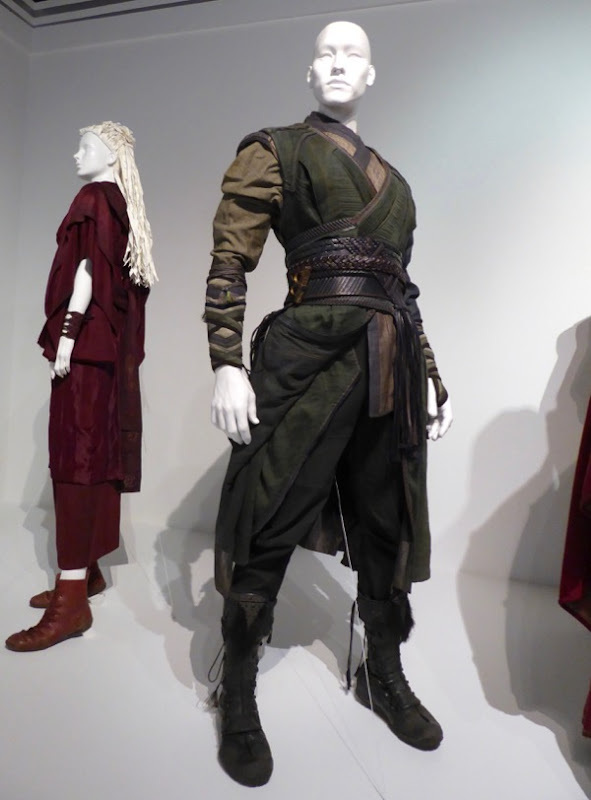 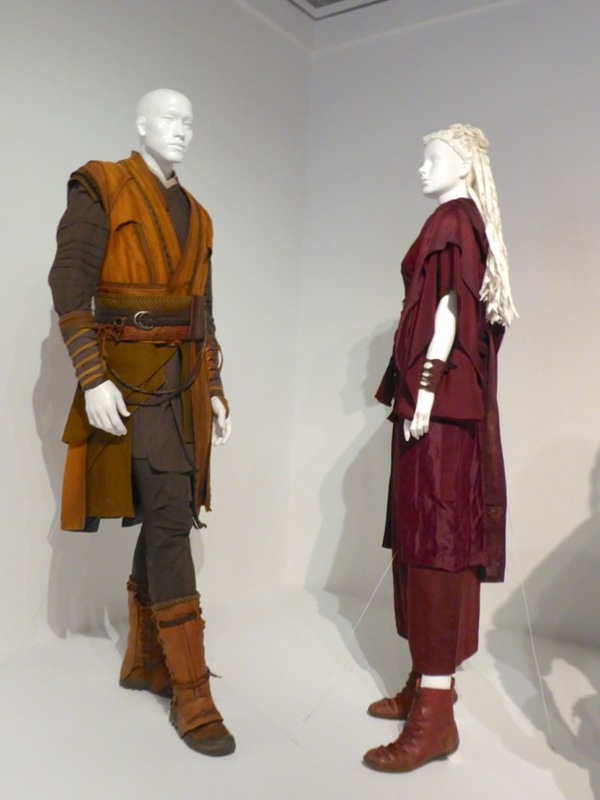 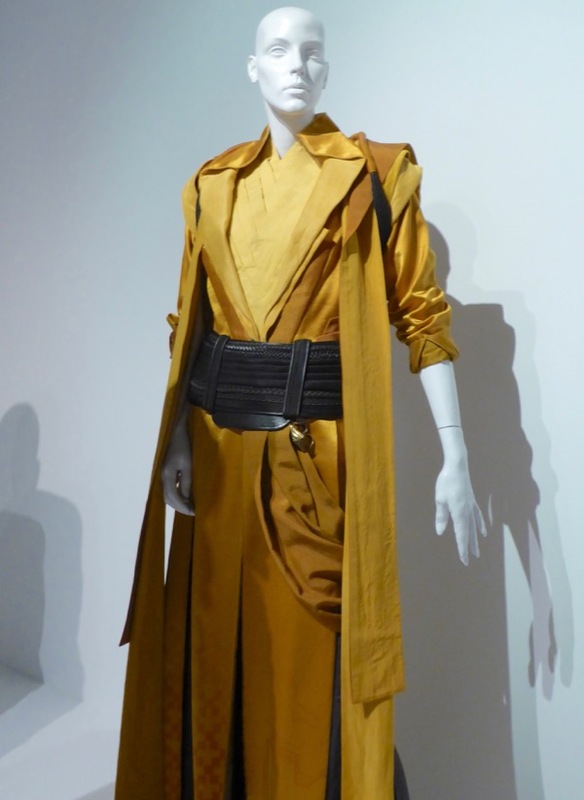 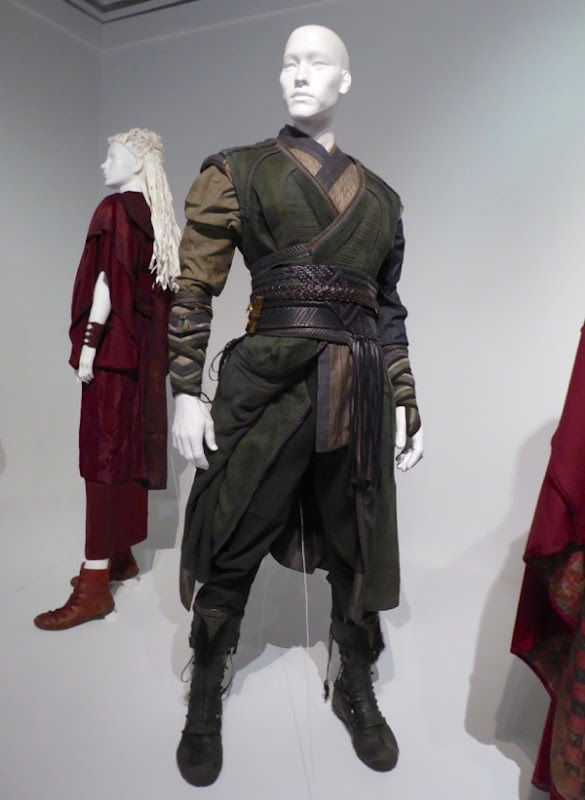 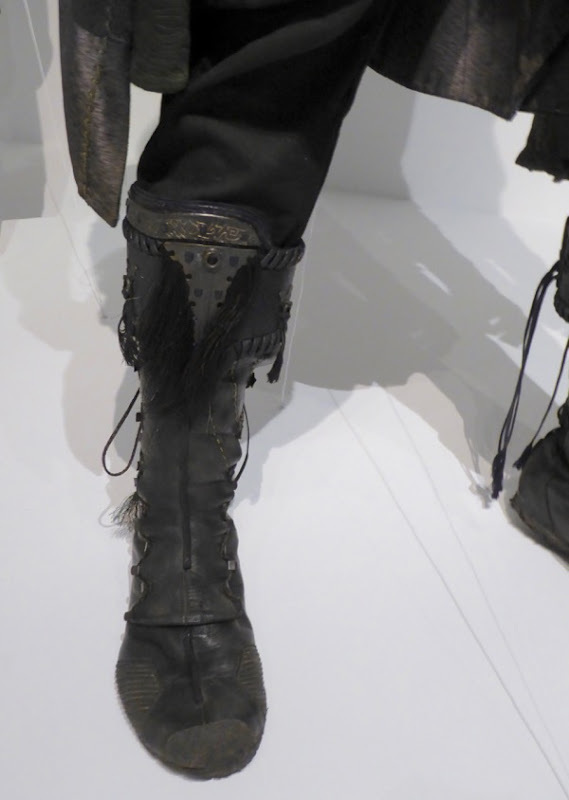 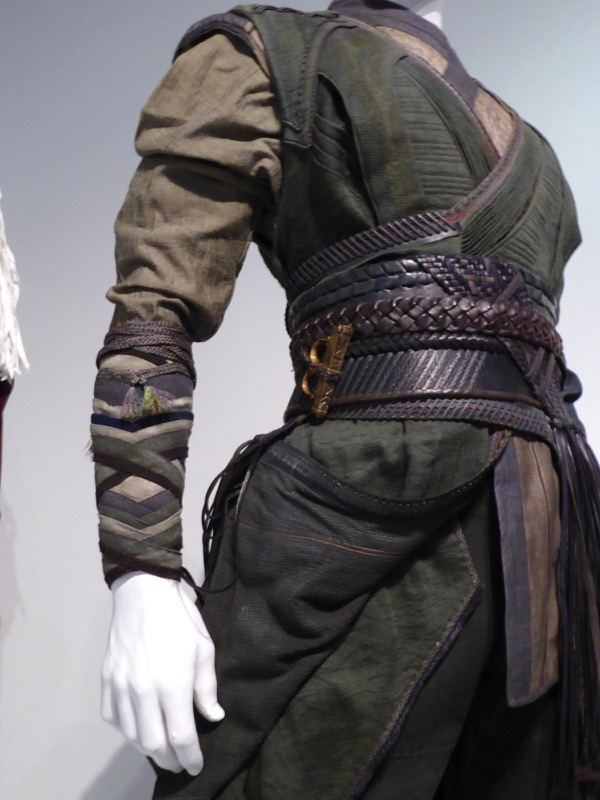 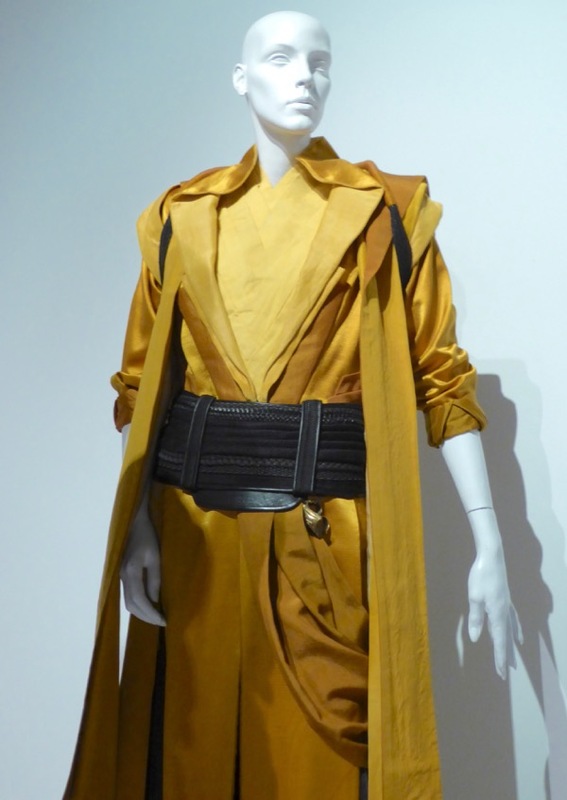 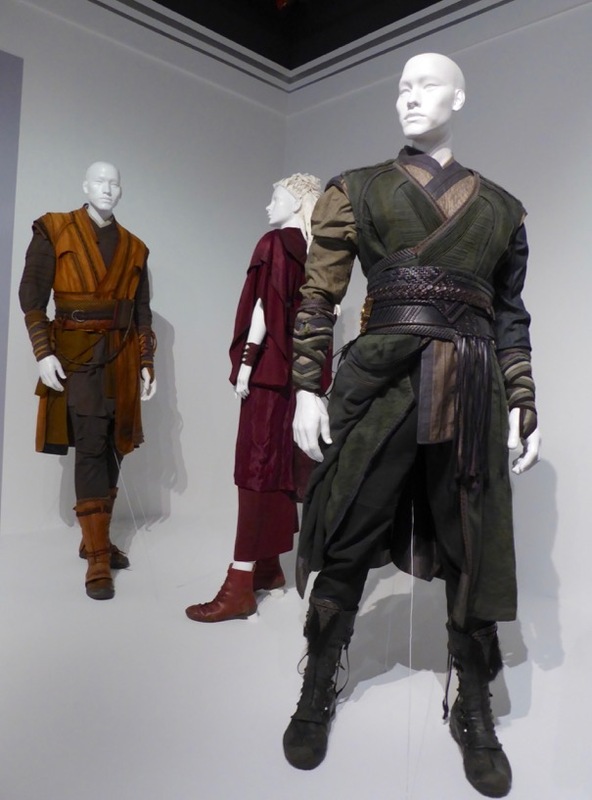 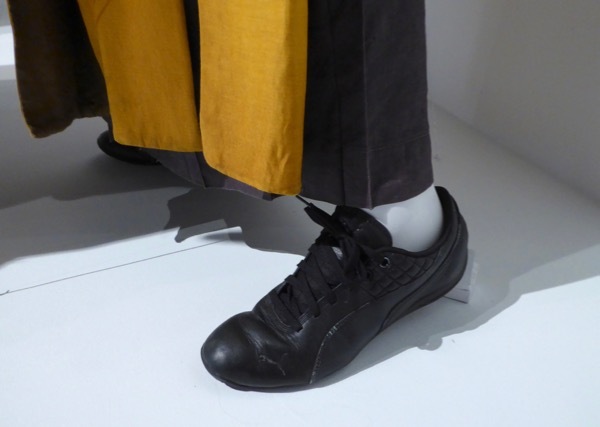 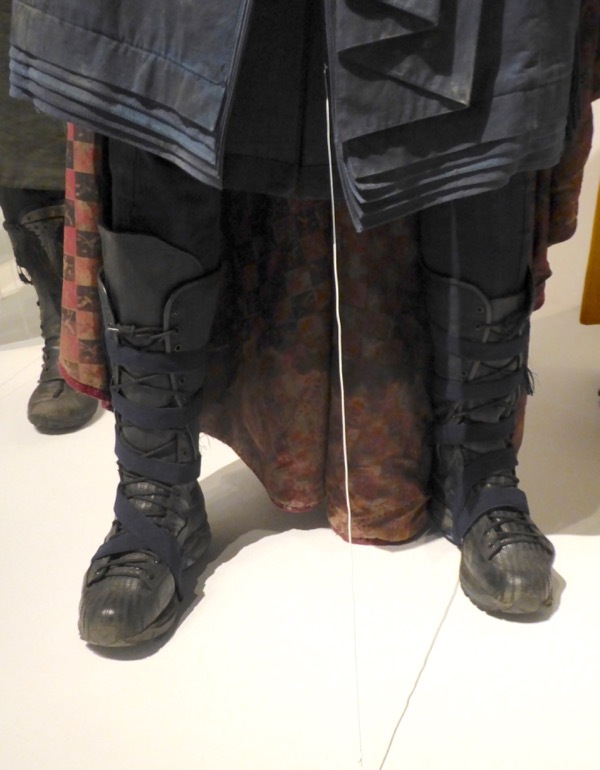 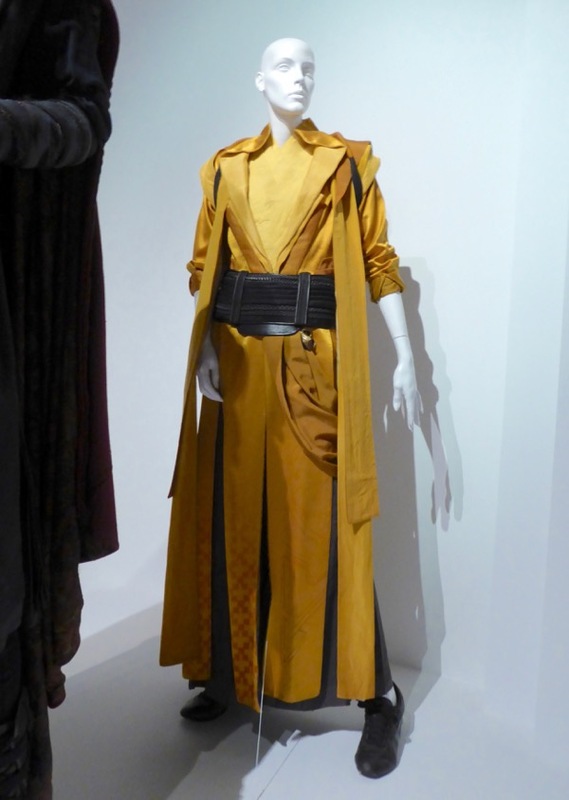 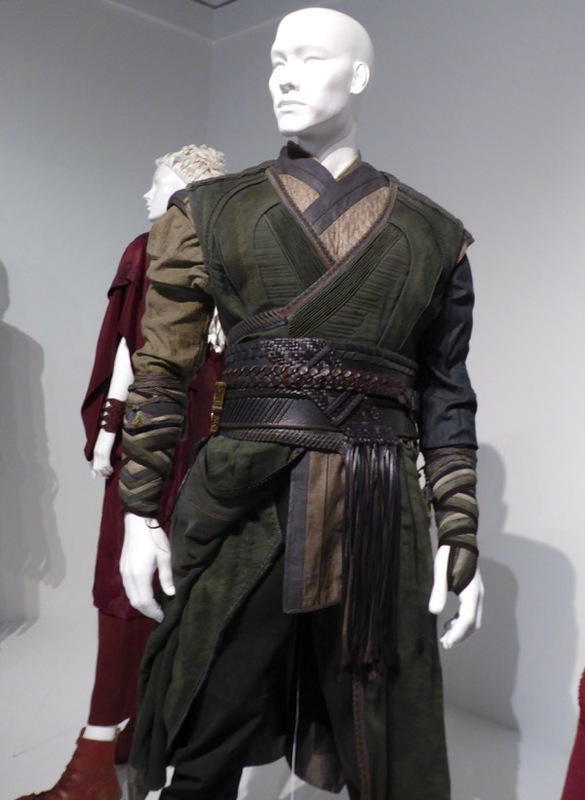 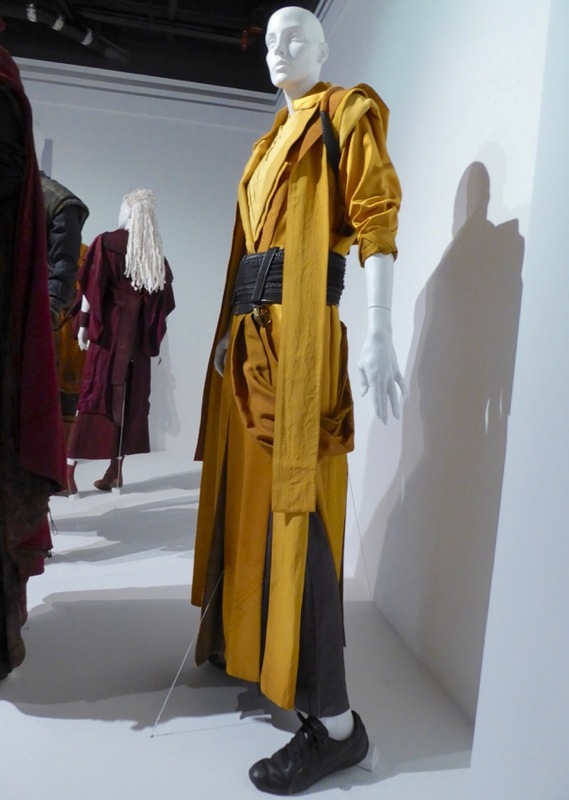 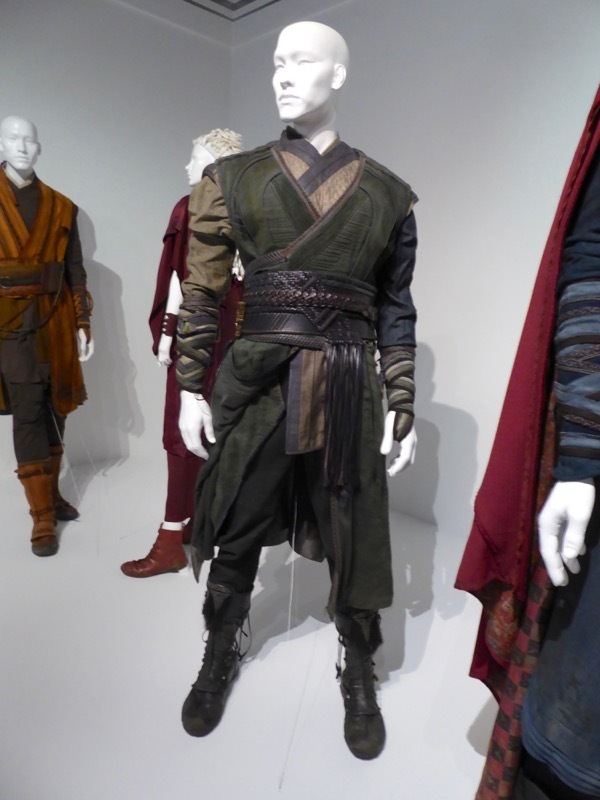 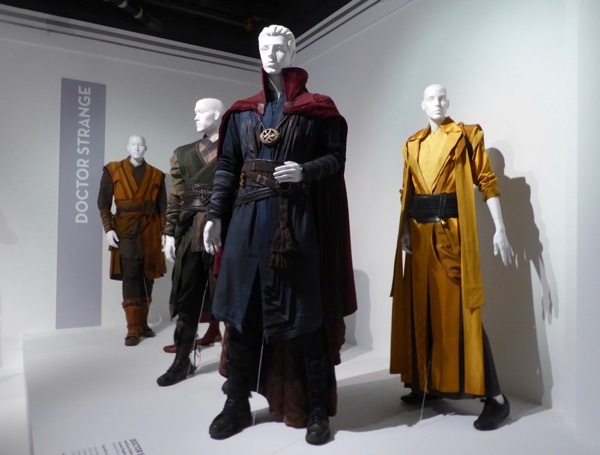 These fantastic costumes from the Marvel movie were photographed on display at FIDM Museum's 25th Art of Motion Picture Costume Design exhibition in Downtown L.A. on February 8, 2017. 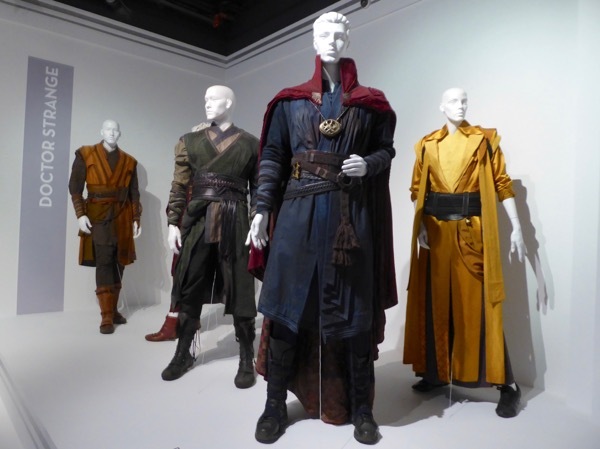 Alexandra Byrne was Costume Designer of the film directed by Scott Derrickson, and you can also see her superheroic costumes in Avengers: Age of Ultron and these Guardians of the Galaxy moviecostumes to name but a few, plus also in Elizabeth: The Golden Age. 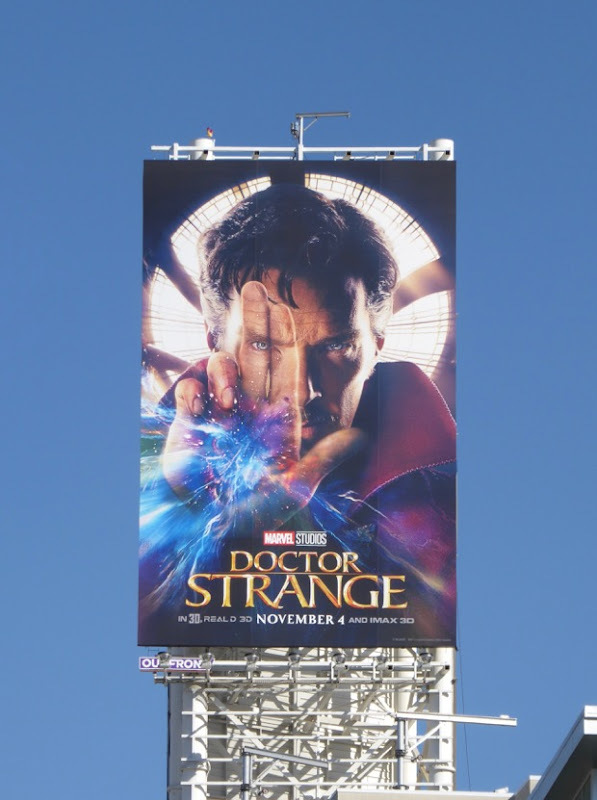 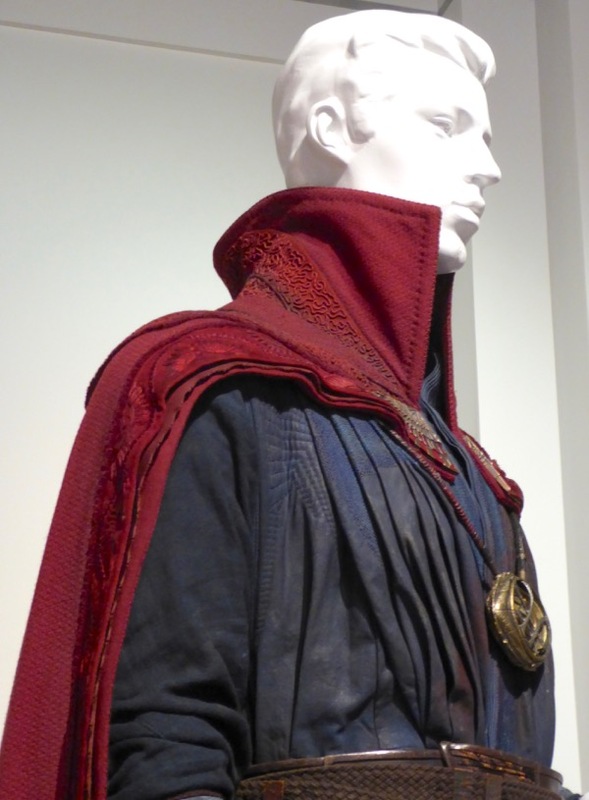 Created by Steve Ditko and making his first appearance in Strange Tales #110 in 1963, this movie incarnation sees Benedict Cumberbatch brings 'Stephen Strange' to life, as he goes on a journey from an arrogant, injured expert surgeon, expanding his mind and his metaphysical abilities to become the world's Sorcerer Supreme based in New York City's Greenwich Village. 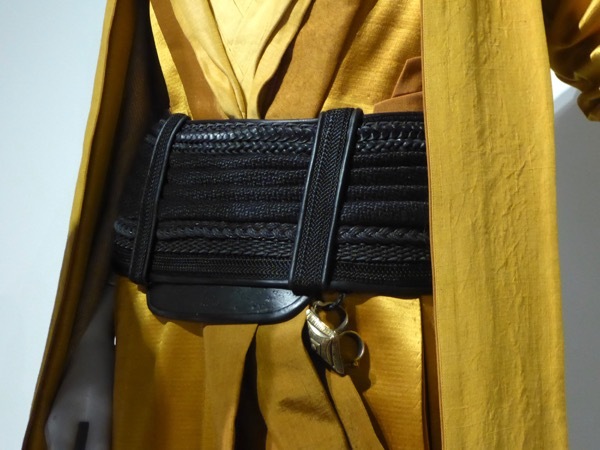 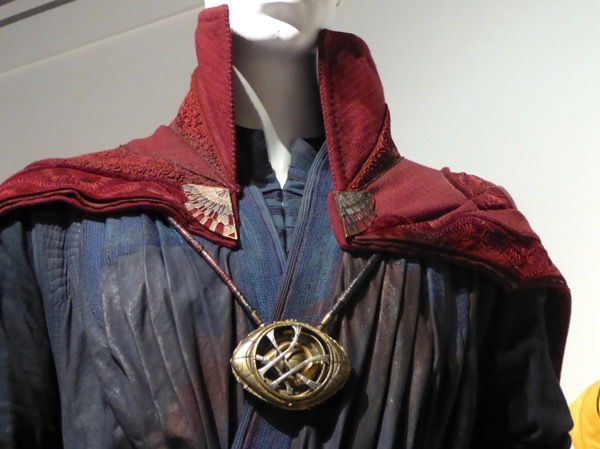 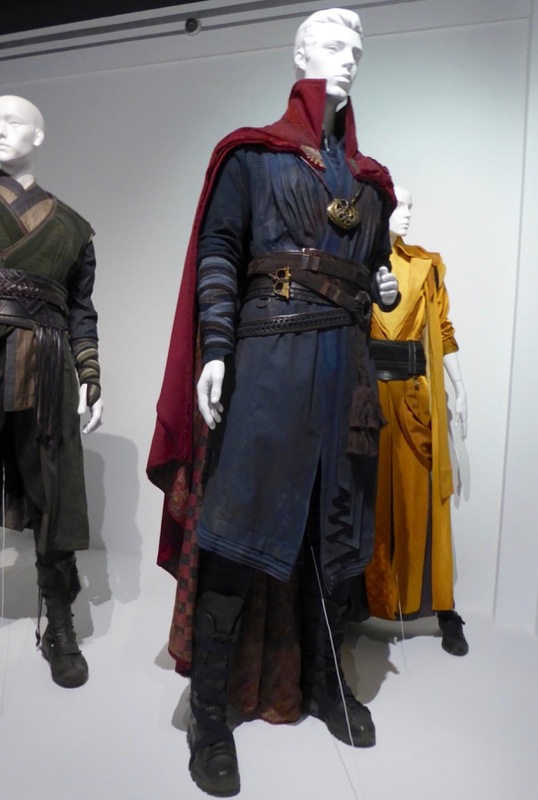 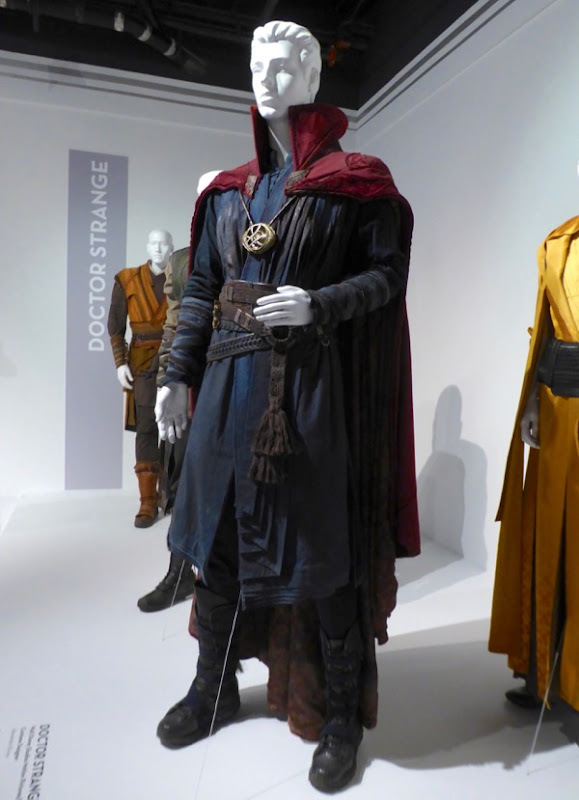 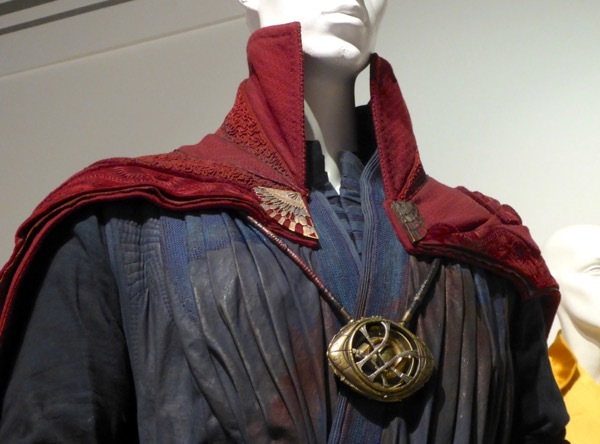 I think they did a great job of translating Doctor Strange's fantastical garb to the big screen, including his sentient Cloak of Levitation and the Eye of Agamotto (revealed to be another Infinity Stone). 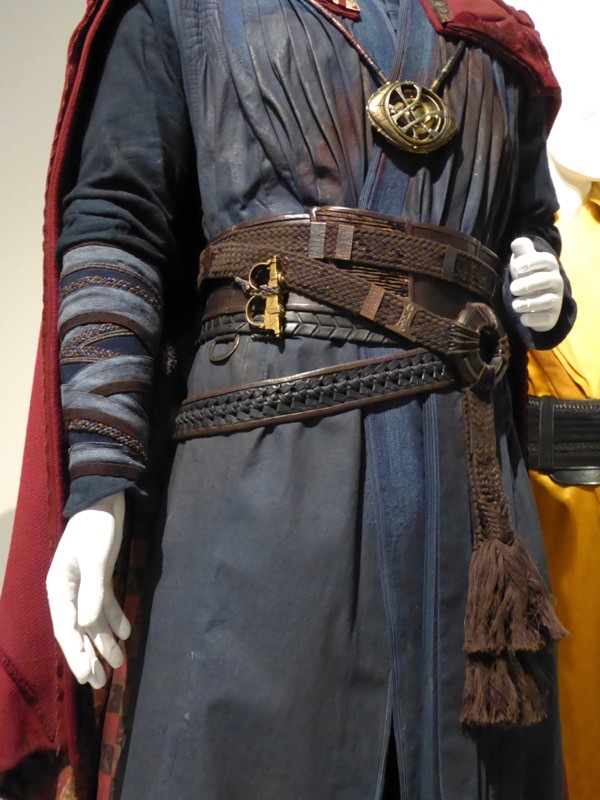 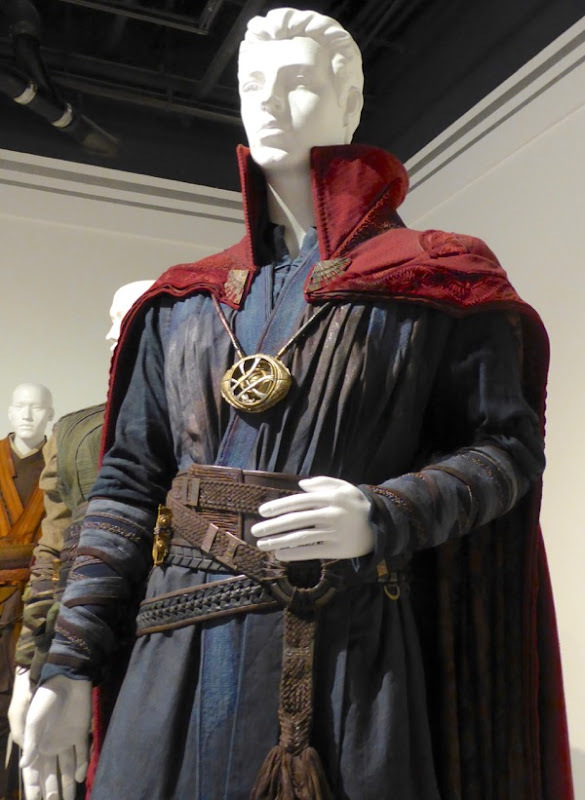 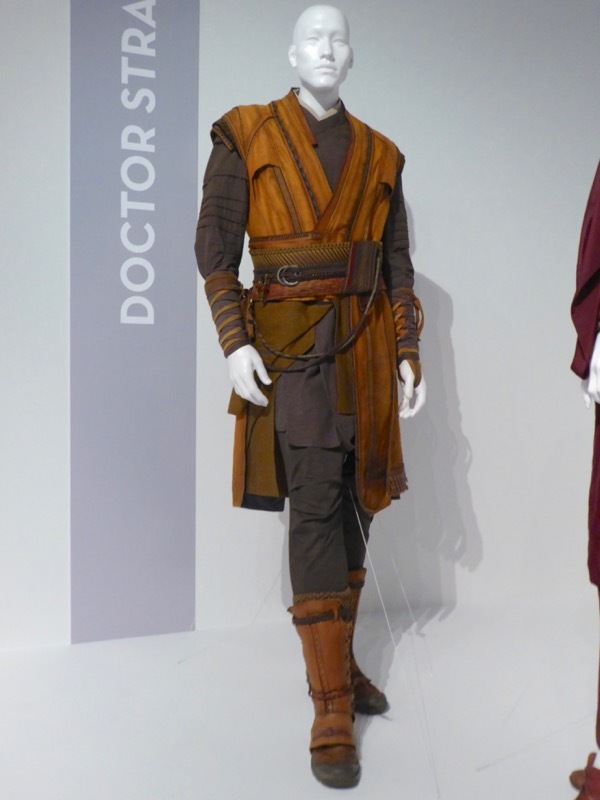 Fans of Benedict Cumberbatch can also enjoy these costumes from Sherlock: The Abominable Bride, his Khan costume from Star Trek Into Darkness and his Tinker Tailer Soldier Spy film costume on display. 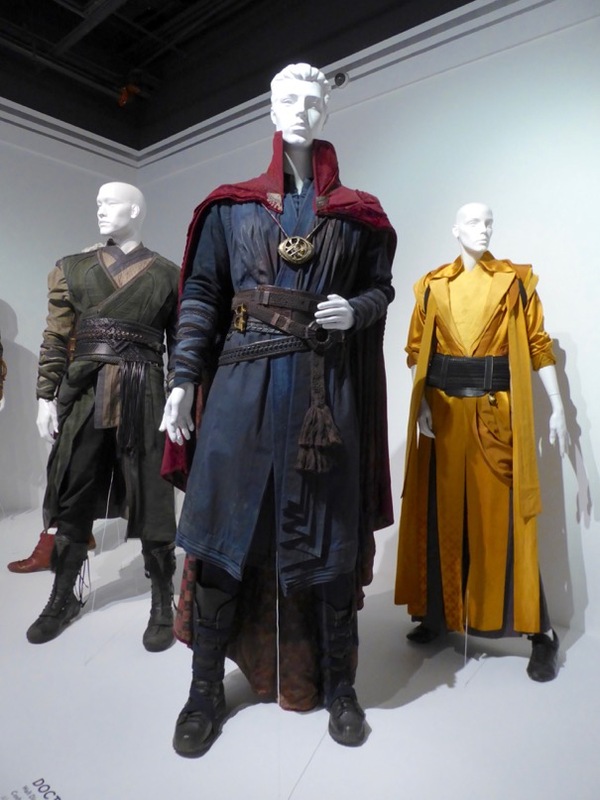 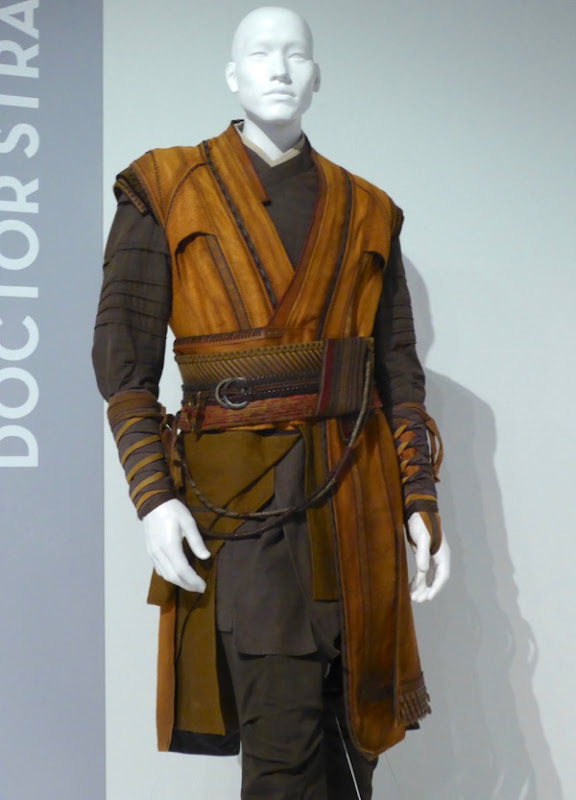 Aside from the whitewashing controversy of making the 'Ancient One' a caucasian woman of Celtic descent and not Tibetan heritage, Tilda Swinton still made for a great mentor for Doctor Strange and all the other sorcerers-in-training in Kamar-Taj and formidable warrior against Kaecilius and his followers. 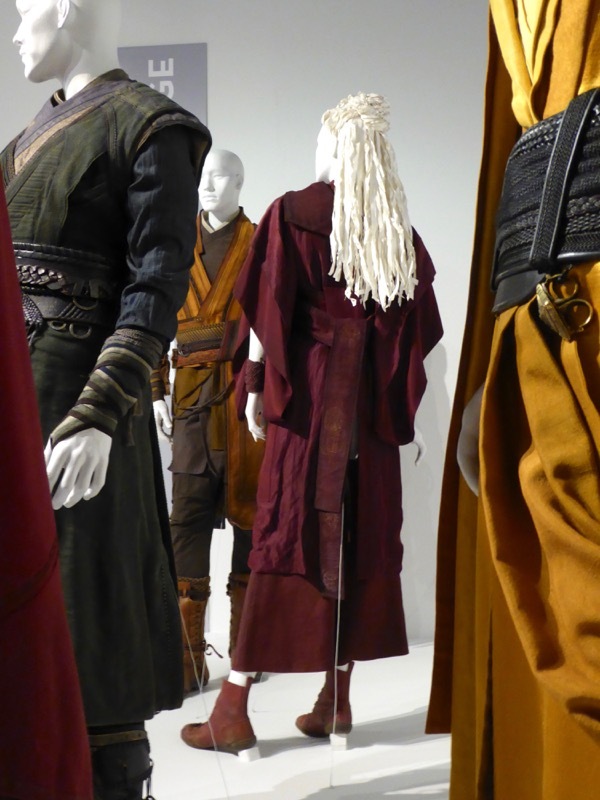 Fans of the actress can also enjoy her White Witch costume from Narnia's The Lion, The Witch and The Wardrobe from the 2005 big screen adaptation. 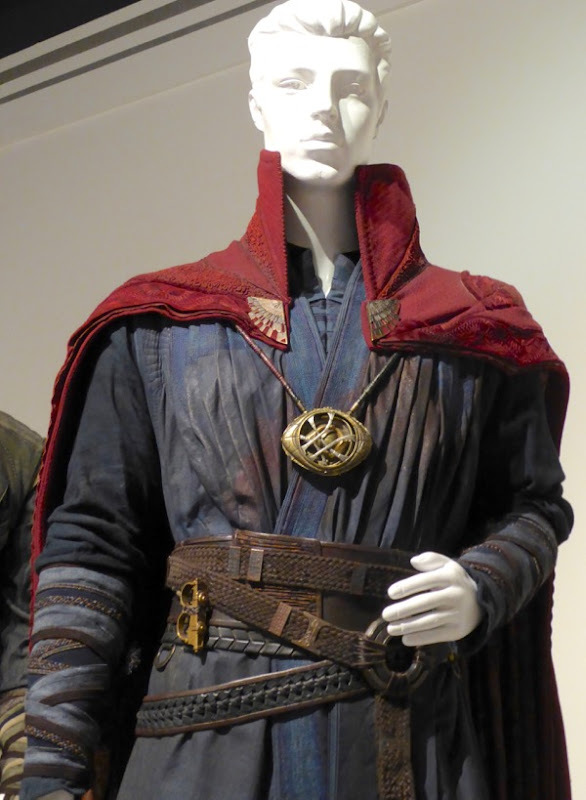 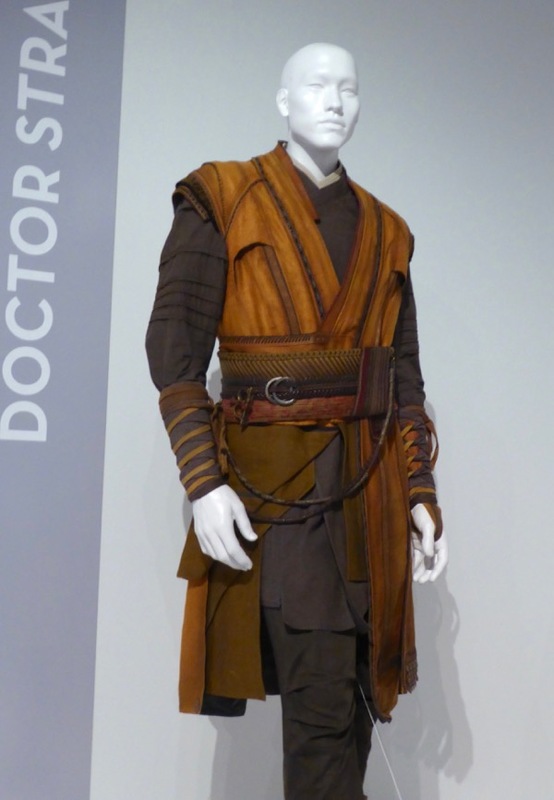 In addition to trying to make Doctor Strange's universe more diverse by making the Ancient One a woman, they also cast black actor Chiwetel Ejiofor as his fellow student of the mystic arts, on-screen ally and comic book sorcerous rival 'Baron Mordo', or simply 'Karl Mordo' in this film. In the movie Mads Mikkelsen plays 'Kaecilius', a master of the mystic arts who has broken with the Ancient One's teachings and with his cult of zealots wants to summon 'Dormammu' of the Dark Dimension, where time doesn't exists and you can live forever. 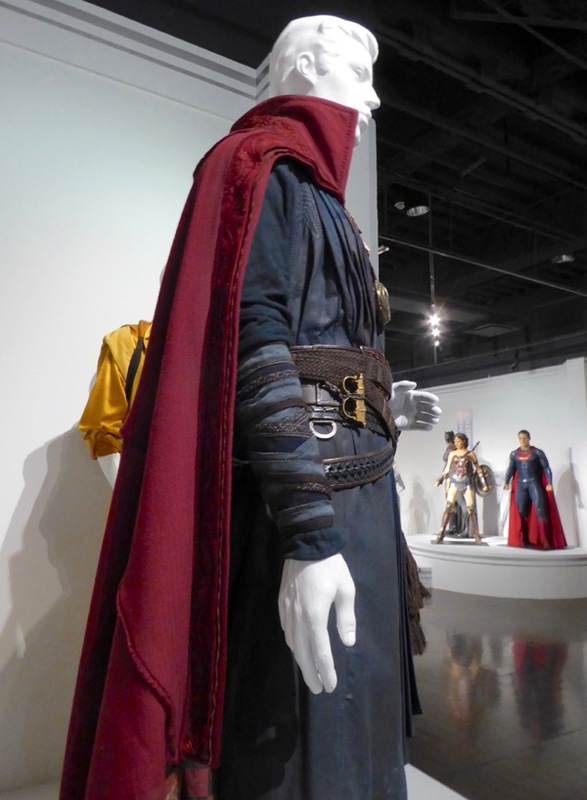 Marvel Comics fans can also check out all these Captain America: Civil War movie costumes, these Thor: The Dark World movie costumes and also these Agent Carter TV costumes on display.